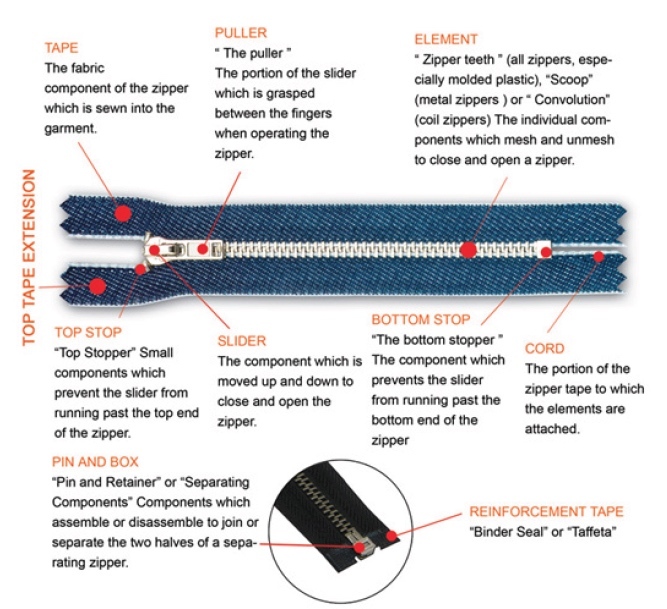 One of Prestige Cleaners most frequently requested alteration is fixing or replacing zippers. A garment may be unusable until the zipper is repaired or replaced. Problems often lie with the zipper slider; when it becomes worn, it doesn’t properly align and join the alternating teeth. With operating zippers, the insertion pin may tear loose from the tape, the tape may even disintegrate from use. If a zipper fails, it can either jam or partially break off. To help unstick your zipper, you can add lubrication to the zipper teeth using chapstick, crayon wax, the end of a graphite pencil, petroleum jelly, and other waxy products or lubricants. For all these uses, make sure to do a stop test to ensure that the material you’re using won’t permanently stain the fabric.